Pierre Emerick Aubameyang's first half goal was enough to give Borussia Dortmund a valuable win over Bayern Munich in Der Klassiker, as the title race took another dramatic turn. Mario Gotze had slipped the prolific striker in with a precise ball, and the Gabonese striker did enough to nudge the ball over the line past Manuel Neuer. In an exhilarating bout, Bayern's star striker Robert Lewandowski was kept at bay while the rump of the chances fell to the likes of Thiago and Franck Ribery. However, Dortmund remained a viable threat on the break and Aubameyang should have doubled his tally late in the second half with a darting run through the middle, but Neuer was equal to his strike. The result will damage Bayern's title aspirations, but boost Dortmund's own hopes of going all the way this season for a first title since 2011. 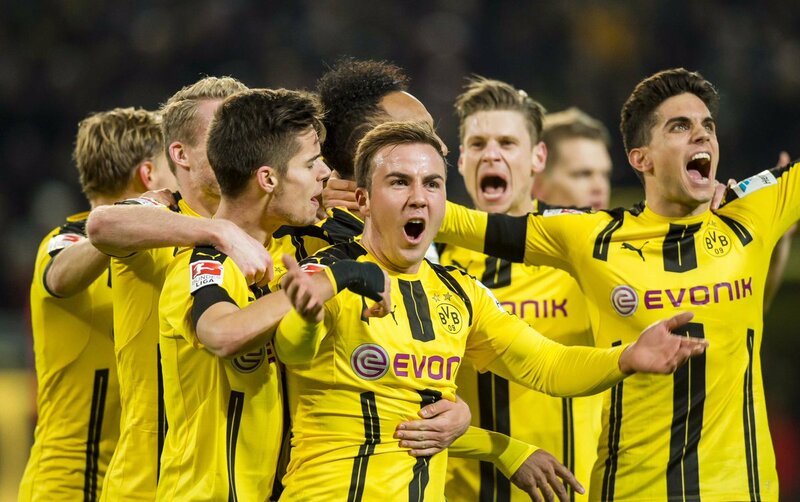 Read on below for a full account of proceedings as the match progressed at the Signal Iduna Park.